Work from home not available Travel required to 25%. The Desktop Support Technician will assist end users with technical support of desktop computers, applications, and related technology. Primary responsibilities include installation and testing of computer systems and peripherals within established standards and guidelines. Ability to troubleshoot Microsoft client operating systems, Microsoft Office 2016 and other core IT applications. SAP, Sales Force, SCCM experience is a plus. Experience with PC hardware configuration and network printing. Must have cabling experience; knows how to terminate a cat 5 cable. Friendly presence and helpful attitude; good interpersonal skills and ability to work well with others. Good problem-solving skills; ability to diagnose the cause of problems in a complex environment and to provide effective solutions quickly. Willing to work variable shifts including evenings, weekends and public holidays. On-call shift is required. Must be able to lift and carry up to 50lbs. Please CLICK APPLY with a Word Copy of your resume and send inquiries to Monika Daga @ Modis !!!! 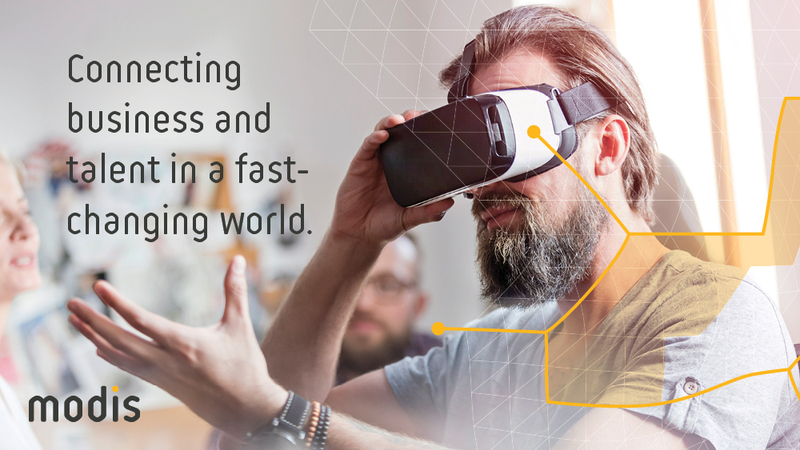 At Modis, we have the connections and expertise to help save you time and start earning money in the right IT or engineering job for you. We use our insight, knowledge and resources to match you with top positions at leading companies. Many of our clients use our services to help fill positions quickly so they can avoid the time-consuming process of posting jobs and sifting through resumes. This can mean we can offer you access to unadvertised IT and engineering job openings and quick placement opportunities that you wouldn't otherwise know about. Get The Modis Advantage. 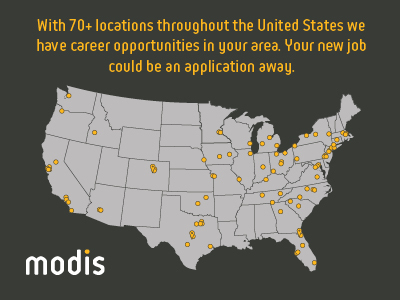 Thanks for applying for the position of Desktop Support Technician with Modis through Dice.